Everybody loves old photos. But sometimes the photos we find on the internet aren’t exactly what they seem. Today we have nine different photos that you've probably seen floating around the internet lately. They're all tied to unbelievable fun facts from history—unbelievable, mostly, because they're not true. Sometimes the images themselves are doctored. Other times the caption is just plain wrong. But none of them represent what you've been led to believe. 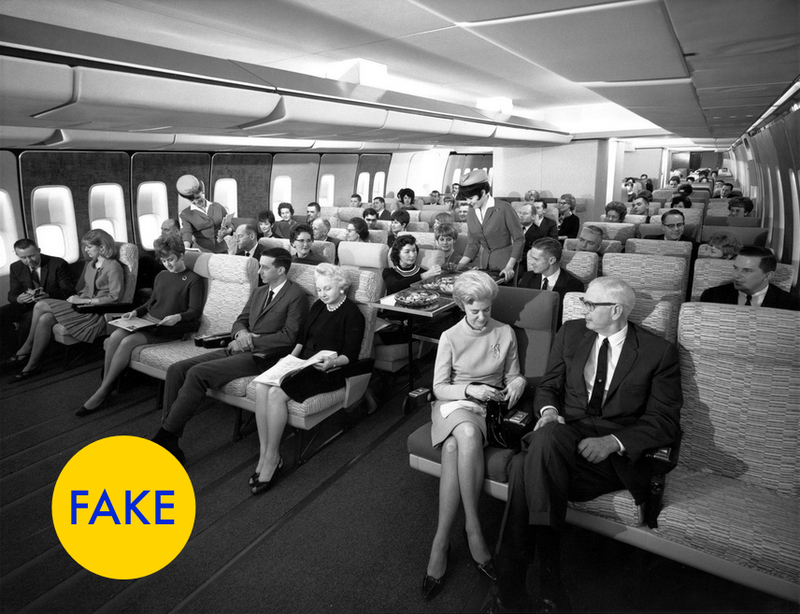 1) Was this really economy class air travel in the 1960s? 2) Was this boy a real chimney sweep? 3) Did Teddy Roosevelt ever ride a moose? 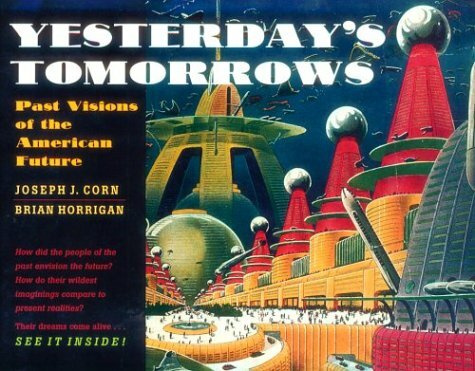 4) Is this a 1954 prediction for the "home computer" of 2004? 5) Did these three dogs survive the Titanic disaster? 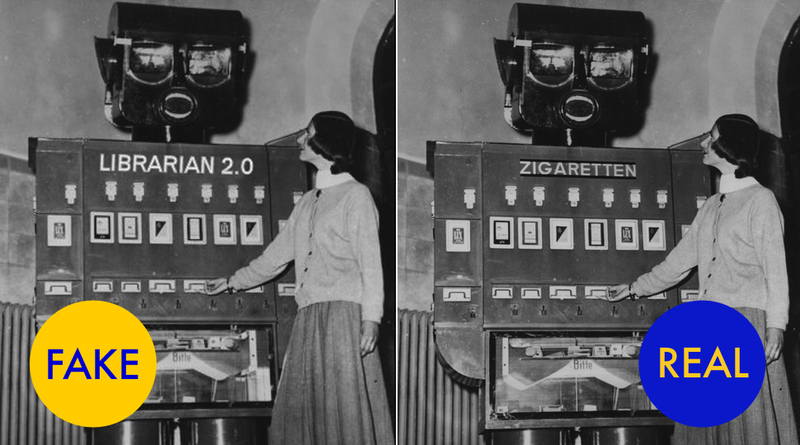 6) Is this a robot librarian from the 1950s? 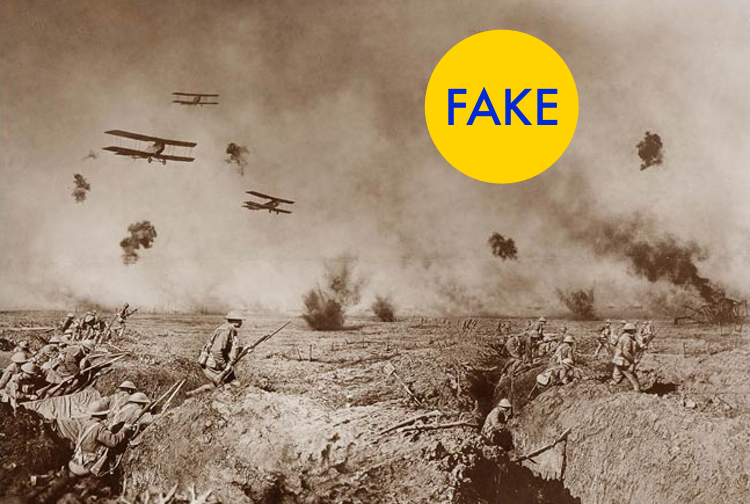 7) Is this a real photo of battle from World War I? ﻿8) Was this the first camera ever built? 9) Did this bomb kill the man who took this photograph? 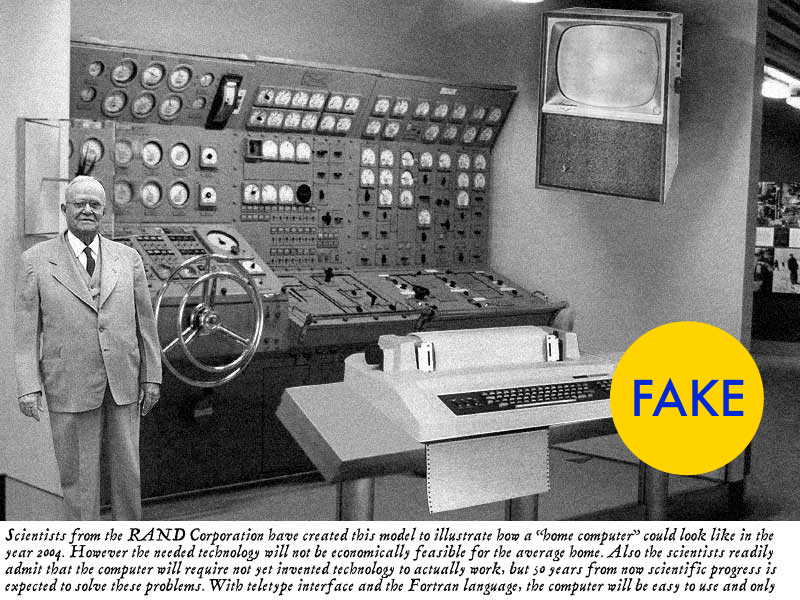 A version of this article originally appeared at Gizmodo.